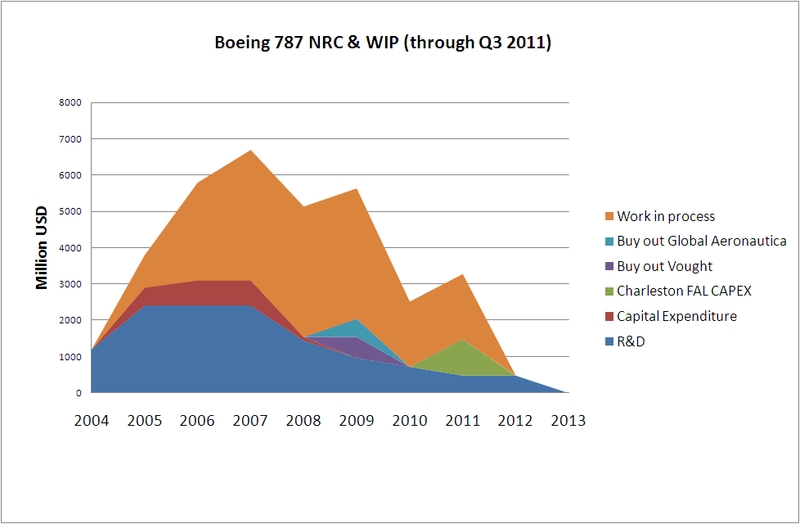 A week ago, Boeing released 2012 results [PDF, 223KB]. The company reported revenues of almost 81.7bn$, 601 commercial deliveries and 1,203 net orders for its commercial aircraft. 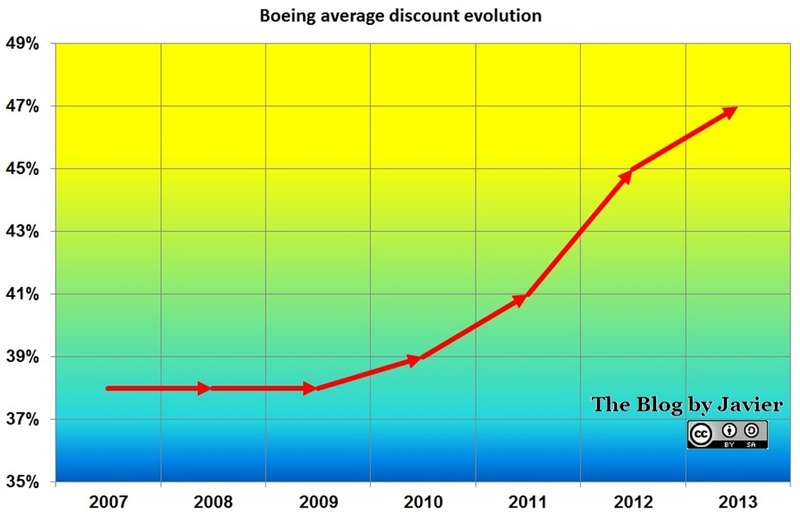 All these were widely reported by the media and mean a great year 2012 for Boeing (with increases in these metrics from 20 to 30%). 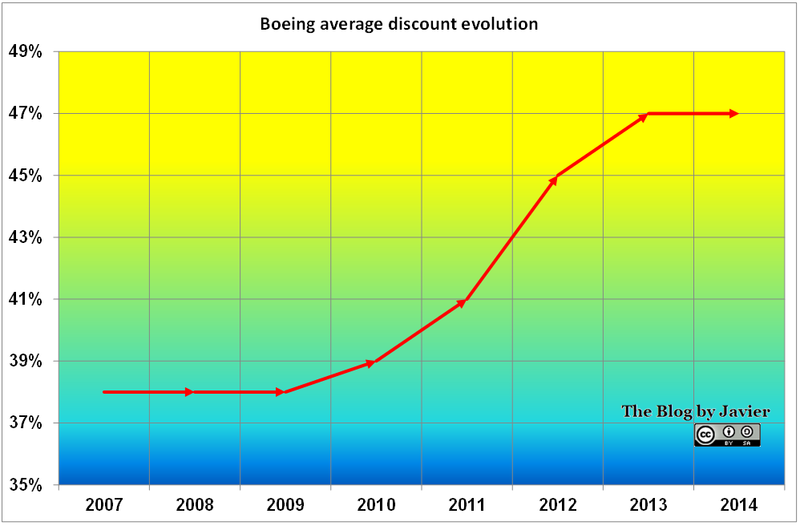 Last years, I wrote in some posts what was my estimate of Boeing discounts: the relation between what is announced by the press, what appears in its list prices and sometimes as backlogs and what it is indeed computed into the profit and loss account. 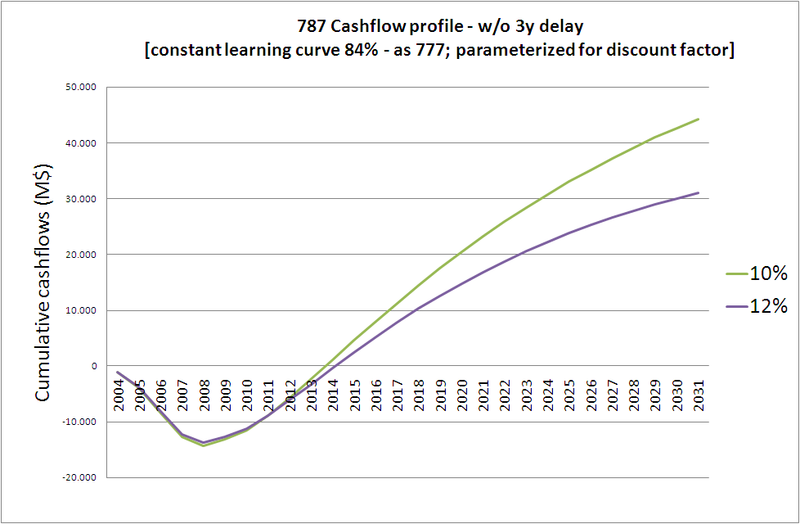 In this post I wanted to update, if necessary, the figure I calculated for the average discount of Boeing. plus services revenues (about 1.4bn$ from the commercial aircraft unit – calculated, not reported). 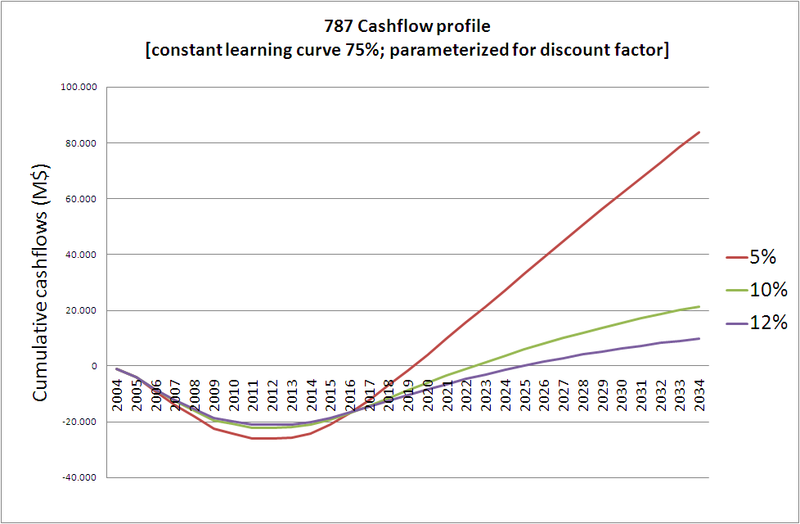 The discount figure that minimized errors last year was 41%. 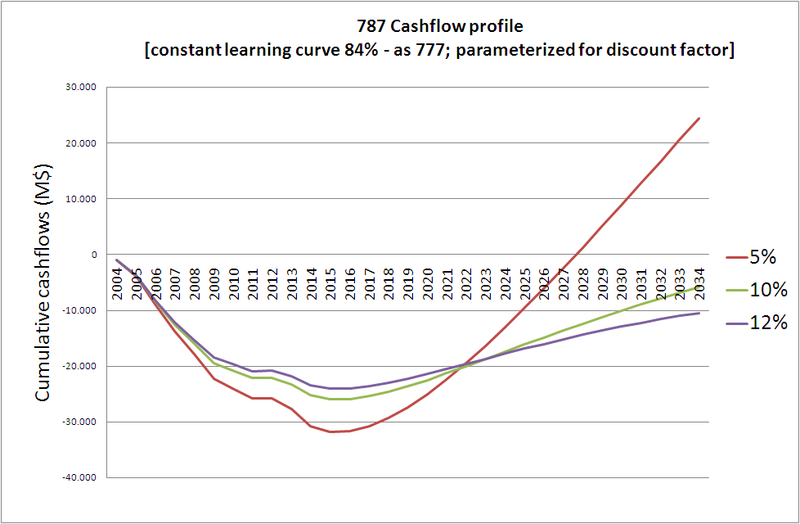 Using this figure, the error obtained this year in relation to Boeing Commercial Aircraft reported revenues is 7.5%, much too high. 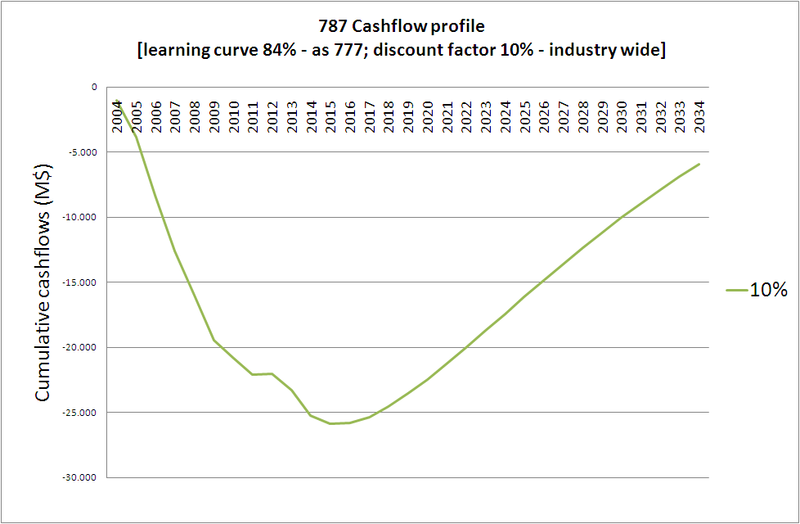 The best estimate for last years average discounts were: 41% for 2011, 39% for 2010 and 38% for 2009. 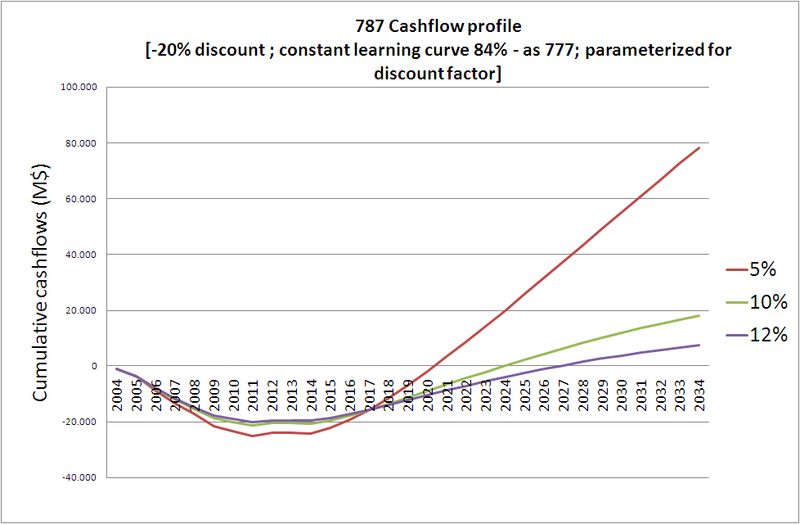 The updated figure (which minimize errors for 2012 down to 0.4%) for the discount for Boeing commercial aircraft is 45% . 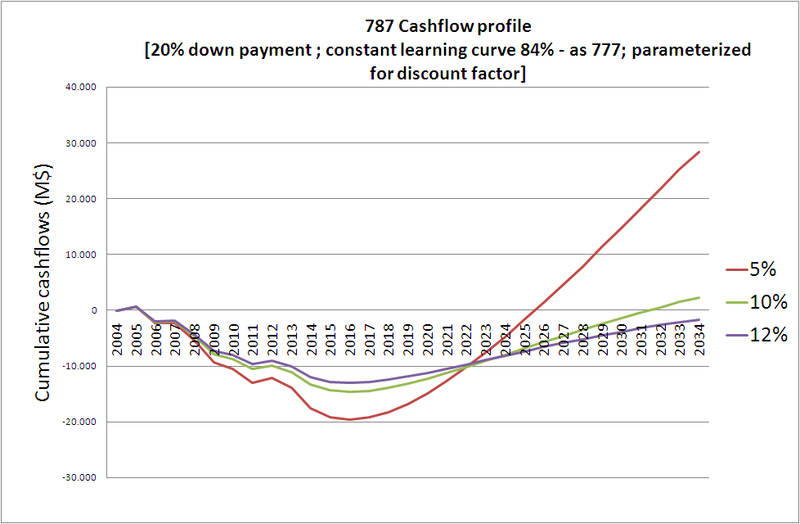 Two years ago, I received a comment from the analyst Scott Hamilton on the level of downpayments. He mentioned they could reach up to 30%. 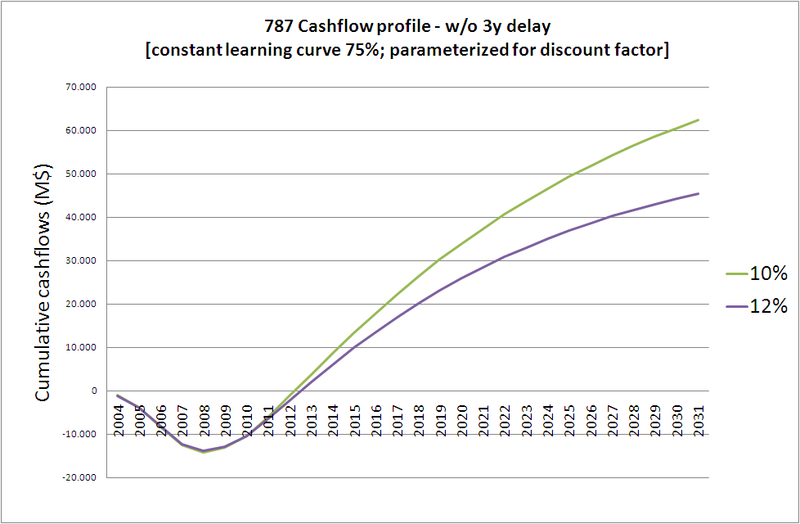 I tried this time to compute the calculation using that input, though the figures of discounts to be applied each year to minimize errors would have to be even higher, over 50% (! 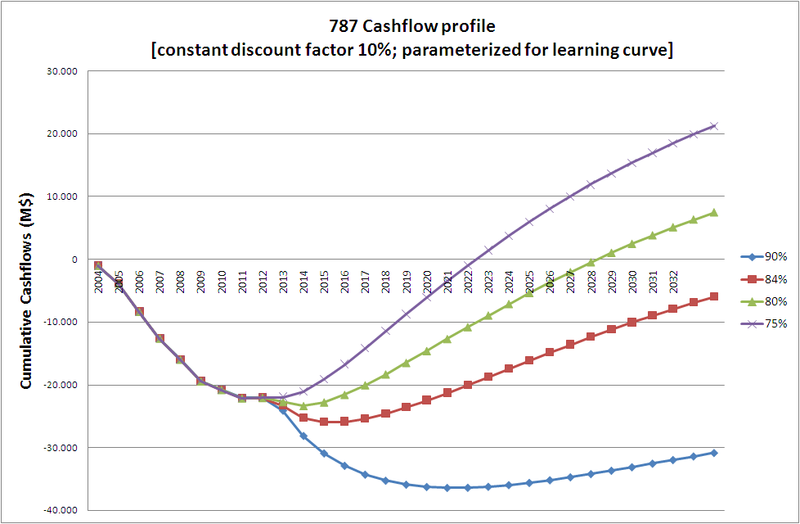 ), thus I stayed with the 3% used in the above-mentioned published paper to stay on the conservative side.